"She reacted so much to her Daddy's voice. She also reacted to both her grandfathers' voices too. We had all these special moments." On the 17th of September 2016, Gary and I got married. We already had two daughters - Lily, 6 and Ava, 3. We decided to have a third baby to complete our family. On the 6th of April 2017, which is Gary's birthday, we travelled to the Coombe being super excited to see our baby in the ultrasound scan marking the third month of the pregnancy. The midwife that scanned us did the routine scan but when she called for a senior midwife we knew something was wrong. 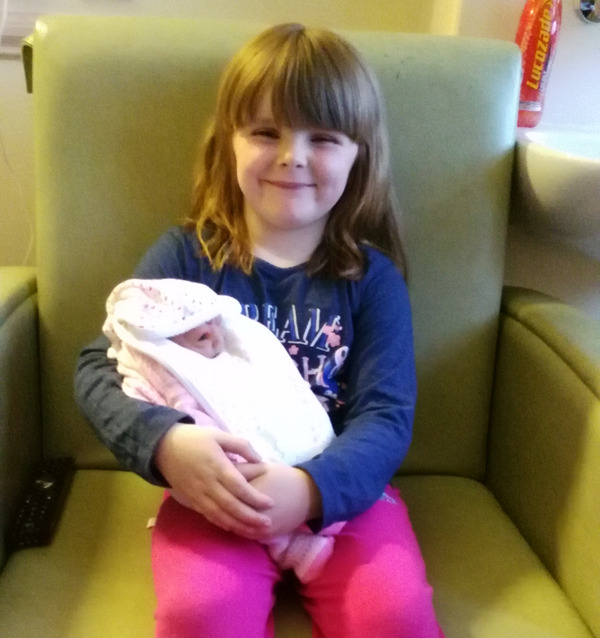 The midwife explained that she wasn't happy with what she was seeing with the development of our baby's head and we were asked to wait around to see a doctor. That day still haunts me. Gary and I left the room in a daze and went straight to our car, sick with worry wondering what could be wrong. Will our baby be ok? Will he or she be disabled? 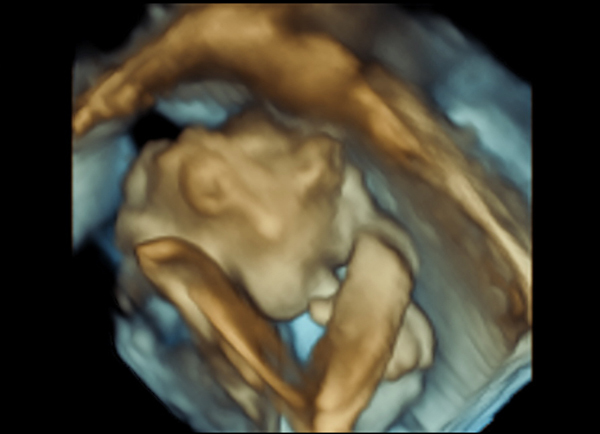 It wasn't long before my phone rang and we were in a meeting with a doctor, she scanned me again and then confirmed our baby had acrania which leads to anencephaly. We hadn't a clue what this even was. She explained what this was, and we heard that our baby would not survive long after birth or might also pass away in my womb. Our world was shattered in that moment. 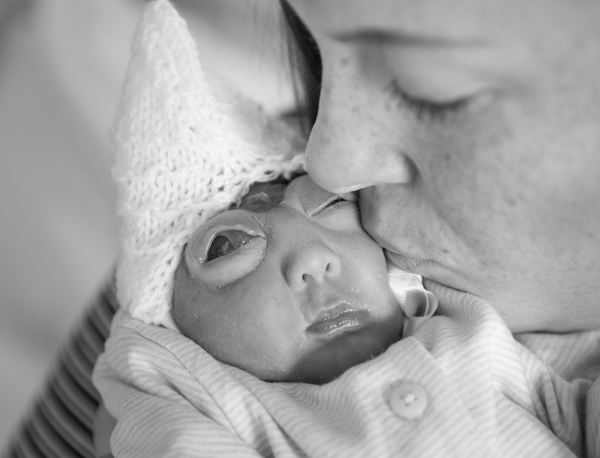 "We created our baby, and once we knew the baby would feel no pain or suffer in any way, we were having our baby." My first thought was: "What am I going to tell my six-year-old daughter who was already so excited about getting a new brother or sister"? That's the problem when you tell a child too early about a pregnancy. How could I expose my innocent little children to death at such a young age? We spoke about our options, either go to England or carry our baby full term. By just even having the option it felt awful. It's not what we thought we'd be discussing that day - I thought we'd be buying some baby stuff on the way home. We very quickly decided I would carry our baby full term. This was our third baby, planned and very much wanted. We knew our baby's life expectancy was very limited but we were not going to play a part in ending it. We created our baby and once we knew the baby would feel no pain or suffer in any way we were having our baby. We also decided we would donate our baby's heart valves if she or he survived to full term. We wanted some light out of a dark situation and this meant for us our baby could live on in another way to save a life. We broke our news to our families and close friends. We had to continue life as normal as possible as we had two perfect little girls. Their life had to go on. They needed their parents and we sure needed them. Their happy faces, hugs and funny stories are what kept us going at times. We knew we had little eyes watching us and we couldn't let them down. I felt a massive amount of guilt as I knew this journey was not just going to affect us as parents but also our children, our parents, our brothers and sisters etc. I felt so bad that I knew how cut up my parents were seeing me go through such a hard journey. It was a vicious circle - my parents should not have seen me go through something so hard, and I should not have experienced seeing my parents so heart broken. I continued to work part time and continued my college course. I found going to work, college and keeping busy easy enough. I had good and bad days. As I had only told close friends about our baby's diagnosis it was easy to pretend life was ok. As my bump grew people would congratulate me and ask me all the usual baby questions, I would just go along with it as it was easier than explaining to everyone. I didn't want people to treat me any different. However, when our news did travel I was treated differently at times. I know people just don't know what to say in these situations as it can be awkward to find the right words but the best way to be is to treat someone as "normal". One experience I'll never forget was being ignored by a new mother with her newborn baby. I know she may have meant well but I've never felt so isolated as I did then. I knew then my pregnancy wasn't going to end well but I was still so happy for others that have their precious little healthy babies, as I wouldn't wish this situation on anyone. Nobody deserves to go through losing a child. "Their happy faces, hugs and funny stories are what kept us going at times. We knew we had little eyes watching us and we couldn't let them down." There were days during my pregnancy when all I did was cry when I had moments by myself. I never felt loneliness like it, even though I had good support around me. In between my tears I'd have to remind myself my baby is still here. My precious baby is alive and safe inside me. I had a few close friends that checked up on me throughout my pregnancy, friends that remained solid as ever, and those are the people I'll never forget. On Father's Day we went for a 3d scan. We found out our baby was a girl. Our third girl. We could see her perfect little nose and lips, fingers and toes. Everything so perfect except her skull. I cried when we left the room, I wanted so badly for it all to be a mistake and for something to be done. We decided to name her Grace after we knew she was a girl. Grace is english for Gráinne so she was named after her Mammy. Hi Mam and Dad, aren't I cute! We made sure our girls still had a normal life while I was pregnant. We still had our family days out and a summer holiday to Sligo with their grandparents. We made loads of happy memories and took loads of pictures of them with me and my bump. We collected loads of seashells on the beaches in Sligo and said we keep them for Grace's garden. Lily bought Grace a teddy with her holiday money. All special memories we'll never forget. Lily found out about Grace's diagnosis before myself and Gary got a chance to tell her ourselves. Its not how we planned it but at that stage we had to try manage the situation as best we could to avoid her getting confused or upset. Ava was too young to explain it to her. Gary and I brought Lily out for the day and we decided to explain to her what was going to happen. I completely choked up and couldn't get any words out, Gary was so brilliant with her, he told Lily how Grace was very special, that when she's born she'll go to heaven soon after that to be an angel. He told Lily how lucky she is that she'll have an angel always watching over her and Ava and how Lily is the best big sister that she'll need to mind Ava while Mammy and Daddy are in hospital. The 17th of September soon came around again - our 1st wedding anniversay. It's not exactly how we'd imagined our first year of marriage to go. We felt robbed. Gary was my rock throughout my pregnancy as he always is. Even though this journey was so heart breaking he still made me laugh everyday. We seemed to bounce off each other for support. We talked non stop about our fears and our thoughts about Grace. He was hurting and scared just as much as I was. Grace was such an active baby in my tummy, even more so than Lily and Ava were. I felt I had bonded with Grace before I even met her. She was most active in the evenings so I couldn't wait for that time of the day, lying on the couch relaxing feeling her kick and turn. There was a huge part of me that didn't want this pregnancy to end as I knew then life would soon end for her. I was also excited my meet our little princess too. The care we received from the Coombe hospital was brilliant. We could not fault them. We were 100% supported. Each visit we had I got scanned and all our questions were always answered. I was going to have a planned c-section for Grace at 38 weeks. We had our own bereavement counsellor that we saw regularly. She was amazing she was able to talk us through any fears and worries we had and helped us to prepare as best we could for Grace's birth. She was there with us throughout Grace's journey. 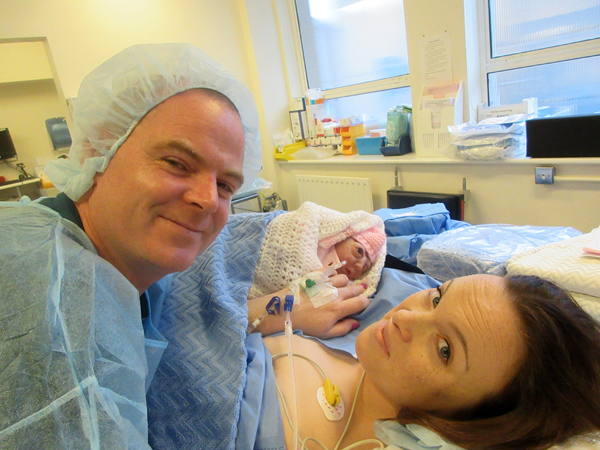 All the staff we met before and after Grace's birth were all amazing with us. On the 4th of October 2017 Gary and I arrived to the Coombe at 11am. We were given a room to ourselves. It was our home until after Grace passes away. We picked out an outfit for Grace to wear and a blanket for her to be baptised in. Gary and I were surprisingly calm. This was our time to finially meet our little princess. After carrying Grace for 9 months, all I wished for now was to meet her alive and see her eyes, to hold and kiss her. We knew how precious this time would be with her, we said if we get even just an hour with her we'd be so happy. I walked down to the theatre for the c-section, still calm as ever. Once I was prepped and ready for the surgery Gary came in to me, holding my hand while we waited to see Grace. At 2.58 pm Grace was born and she came out crying!!! My doctor showed Grace to me and Gary straight away. She was our perfect little baby. She weighed 5lb 3 oz. After the nurses were finished with her she was put across my chest, staring at me and Gary. All I could do was rub her little face and take her in. When my surgery was finished I went to the recovery room and Grace was baptised - Grace Lily Coady by a local priest. When I was able to leave the recovery room we went back to our room where my parents and Gary's parents and Garys brother were waiting to meet her. 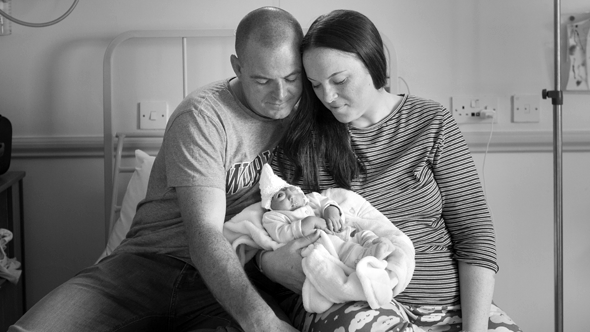 Grace's birth weight was a tiny bit under the requirements for heart valves donation so that didn't go ahead but Grace had other plans anyway. Our Grace was a little fighter - she lived for 5 amazing days, mostly in our arms but also in the arms of our families and close friends. We got to dress her, hug her, kiss her, sing to her, take videos and pictures of her, but most importantly we got to love her. Grace got to meet her big sisters. Lily took her time before she held Grace, asking lots of questions but before we knew it she was holding her and kissing her non stop. 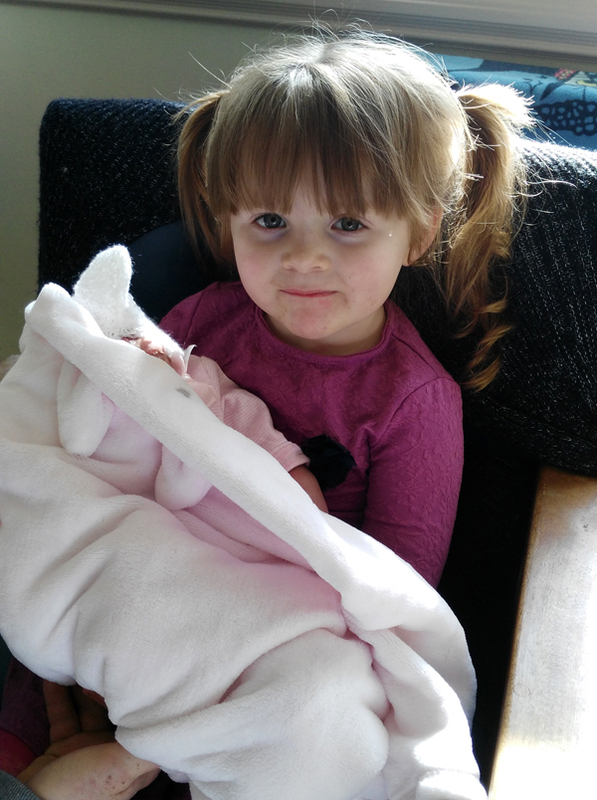 Ava didn't see anything wrong with Grace, she just saw her baby sister and smoothered her with cuddles and kisses. With my biggest sister Lily... I loved meeting her! With my big sister Ava... The two of us make quite a pair! Grace's uncles and aunties, a cousin and close friends came to the hospital to meet, hold and love Grace. Grace was adored by her grandparents. 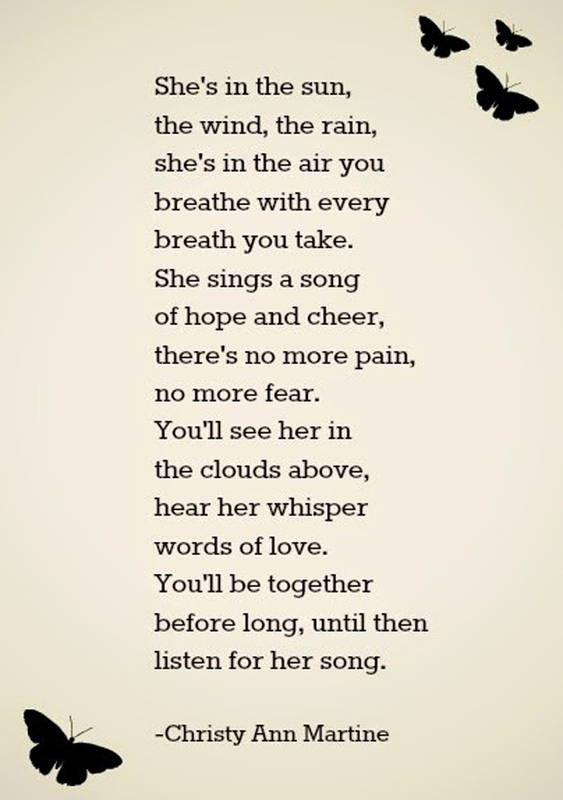 She was loved. A photographer came to us from Nilmdts (Now I lay me down to sleep) the day after Grace was born. We got such amazing family photos that we'll cherish forever. We couldn't believe that Grace was still with us. We were afraid to fall asleep so we slept in shifts. I had short naps with Grace on my chest or snuggled up beside her on the bed. Our night nurse was a woman that myself and Gary knew from our town so it was lovely we had a friendly face caring for us and also sharing Grace's journey alive with us. When our room wasn't hectic with visitors we would take turns cuddling Grace. We'd prop her up on the bed and just stare at her taking every moment in. I'll never forget the feeling of her finger grasped around mine or how she'd move her head to look up when she was lying on my chest. Her tiny little hands were so perfect, her face, her nose, her chin everything about her was perfect. All we saw was beauty, our beautiful baby. Even at a few days old Grace already had character. She looked like her sister Ava when she was the same age. Grace had the same bendy little finger as I do and that Lily and Ava has too. She reacted so much to her Daddy's voice. She also reacted to both her grandfathers voices too. All these special moments. We felt we were the luckiest people ever having this time with Grace, she was a part of our family, everyone loved her, talked to her and wanted to hold her. As she was doing so well I believed I would get to bring Grace home. "Even at a few days old Grace already had character. She looked like her sister Ava when she was the same age. Grace had the same bendy little finger as I do and that Lily and Ava has too." On the 8th of October, it was Ava's 3rd birthday. We had all our family up to visit that evening for a cake for Ava. Before everyone arrived we cuddled Grace together as we always did and we asked her "Please don't go on your sister's birthday". We couldn't imagine a birthday party and a graveyard visit all in one day. That evening the room was filled with love and laughter. Both our families in the one room. Our three girls having a birthday party together. Grace waited until 2:15am on the 9th of October, she passed away in our arms. Her fight was over and she went quickly and peacefully. Our amazing Grace was gone to heaven. A friend of mine kindly organised a cuddle cot from Féileacáin for us so we were able to bring Grace home for 2 nights. Féileacáin had a lovely man call to our house one evening to do imprints of Grace's hands and feet. They also gave us a memory box for Grace, something we'll always have in memory of her. All little bits like her hospital bracelet, her outfits, her blanket, her hats etc. 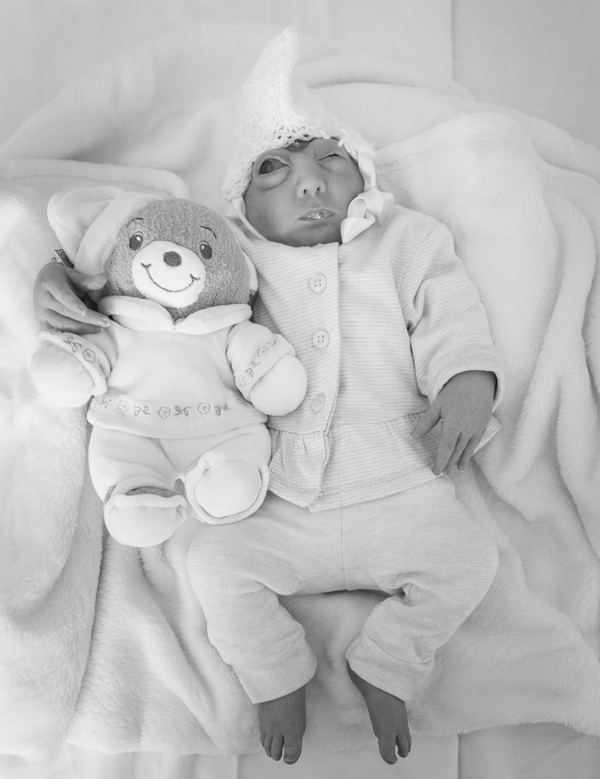 This charity helped us out so much, special things that will help us remember Grace's life. We hope to help this charity ourselves in the future. Saying goodbye to Grace was the hardest thing we've ever had to do. We had family and close friends come to our house and then we had a burial for Grace. Gary's friend sang at the graveyard for us, we picked the songs "Amazing Grace" and "Dancing in the sky" for him to sing. 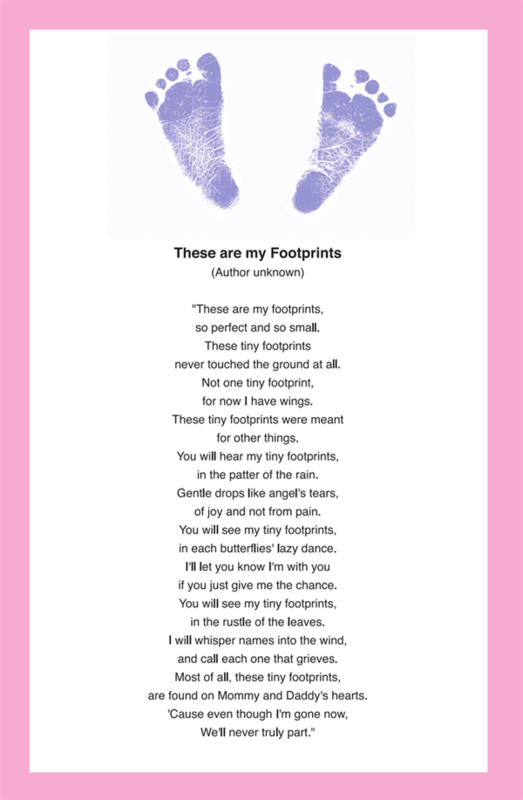 My Dad read the poem "Footprints"
Our sister-in-law read this lovely poem at her burial too. The support we got over those days was overwhelming and we are so grateful. For such a short life, Grace really did leave us a lifetime of love. She will always be our third daughter, a little sister, a grandchild, a niece and a cousin to our family. Our lives will never be the same again without our baby Grace.